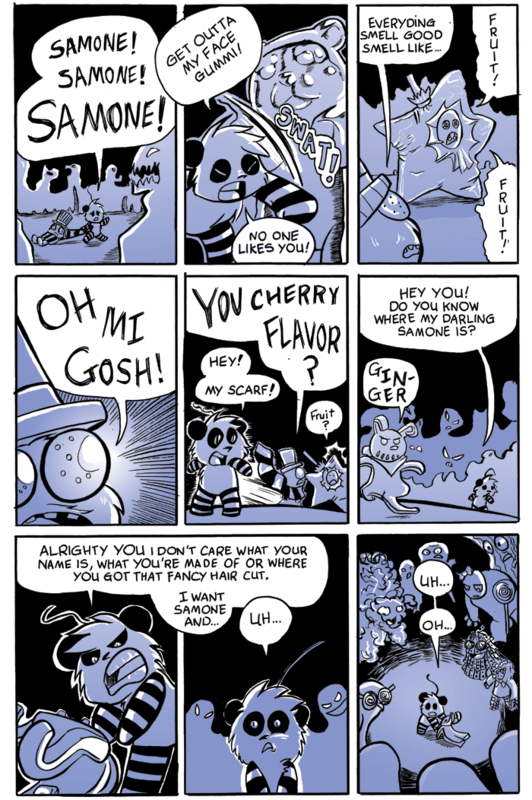 Fun story, half way through this page I was trying to figure out what paper monster’s candy version should be. then it hit me.Â Those strips with candy buttons. I would love to do candy/ sweet versions of all the characters actually and make a print for SPX maybe;;; Would anyone be interested in that? I’d be totally interested in buying a print like that!